In what’s turning out to be a busy week for mobile workstation announcements, AMD is announcing this week that they are launching three new FirePro Mobile parts. 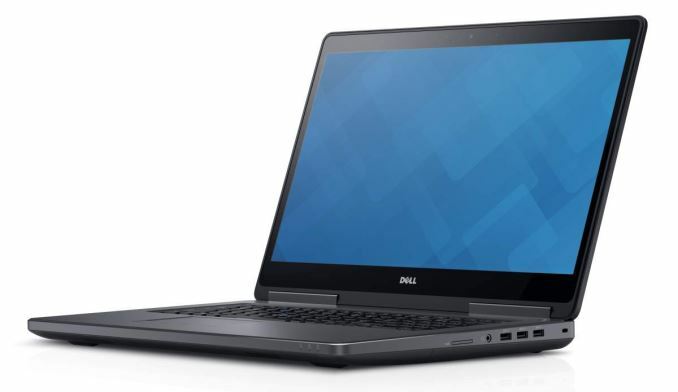 This latest announcement roughly coincides with the announcement of new mobile workstations from partners such as Dell, who are in turn gearing up for their first mobile workstations based on the recently announced Xeon E3-1500M v5, the very first mobile Xeon. Overall this is a very low-key launch for AMD – no slide decks, just a press release – however the roll out of this latest generation of FirePro Mobile parts represents a significant step up in performance for AMD’s mobile workstation video cards. Now at the top of the stack is the FirePro Mobile W7170M. This part is based on a fully shader enabled Tonga GPU, meaning all 2048 shaders ship enabled. The W7170M is paired with 4GB of GDDR5 on a 256-bit memory bus, clocked at 5GHz, giving the part 160GB/sec of memory bandwidth. From a performance perspective the W7170M should deliver just shy of 3 TLFOPS of performance (2.96 TFLOPS), giving the part performance within 10% or so of AMD’s current midrange desktop FirePro, the W7100. AMD doesn’t disclose the TDPs on any of these parts, but given what we know about other Tonga implementations (e.g. M295X), this is likely a 100-125W part. Following the M7170M is the M5170M, the middle child of this wave of FirePro Mobile releases. This part is based on a fully enabled version of AMD’s venerable Cape Verde GPU, packing 640 enabled stream processors. Unlike the W7170M, AMD is giving OEMs greater flexibility on clockspeeds and performance here, so this is an “up to” part on clockspeeds, with GPU and memory clockspeeds reaching as high as 925MHz and 4.5GHz respectively. In a maximum clockspeed configuration performance should top out at 1.18 TFLOPS, a bit more than 1/3rd the performance of W7170 and reiterating the notable performance gap between the two parts. Meanwhile like most Cape Verde configurations we’ve seen this past year, the W5170M will be shipping with 2GB of GDDR5. The last of the new FirePros from AMD is the W5130M, and like the model number implies this is a cut-down version of W5170M. In this case AMD has disabled some stream processors on Cape Verde, bringing it down to 512. Otherwise the GPU clockspeed remains at “up to” 925MHz, while the maximum memory clockspeed is now 4GHz. Finally, memory capacity is unchanged from the W5170M at 2GB of GDDR5. 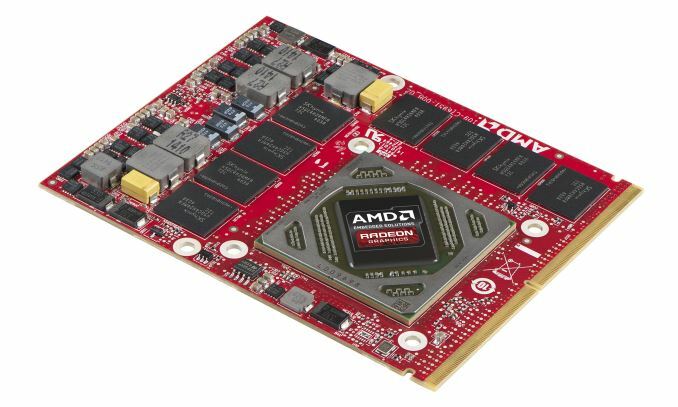 Finally, alongside this week’s mobile workstation GPU announcements, AMD is also announcing that the company has secured design wins from Dell, who will be including all three FirePro parts in the latest generation of their Precision mobile workstations. The FirePro W7170M will be available as a high-end option on the desktop replacement class Precision 17 7710, while the FirePro W5170M will also be available as an option in that laptop along with the Precision 15 7510. Meanwhile the FirePro W5130M will be shipping on the Precision 15 3510 as an upgrade for the integrated Intel iGPU. Amd is hurting for cash and this yes a reasonable corner to cut. Remember, these are mobile parts, not full blown desktop parts. Sometimes these pack more than enough punch to be 'good enough' for mobile use on the road and fit within budget/thermal constraints. They are based on Venus according to TPU, same as the M370X. And they're not GCN1.0 Cape Verde parts since these chips do OpenCL2.0.